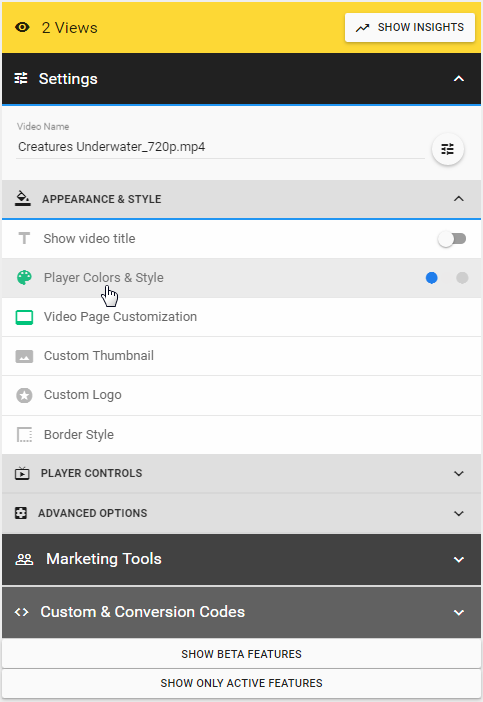 In vooPlayer v4 we are allowing our users to completely change and customize player style. You will find this feature in edit mode, under section APPEARANCE & STYLE. The range of options is very impressive, from the icons, colors, backgrounds and bars to the animation for the Play button. You are able to change literally everything. You can even add some animation effect to the Play button. 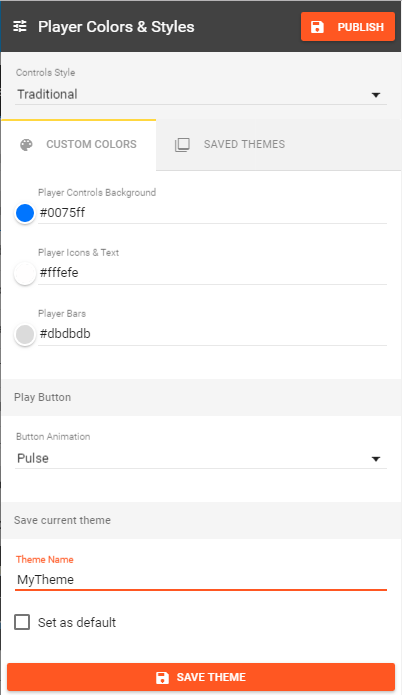 When you make appropriate settings you can save them as a template which you can reuse later. 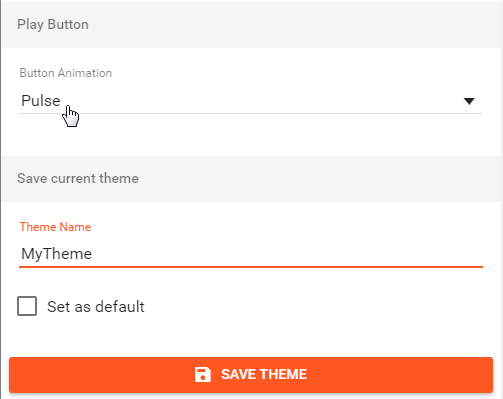 The tab SAVED THEMES allows you to manage your templates.